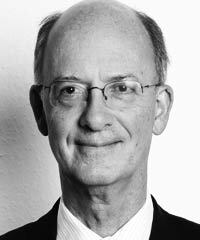 Jermyn Brooks is Chair of Transparency International’s (TI) Business Advisory Board, Member of TI’s International Board of Directors, Independent Chair of the Global Network Initiative, and a Member of the Board of the Centre for Humanitarian Dialogue. In 2000, Brooks joined TI as Executive Director and CFO. He became involved in TI’s private-sector initiatives, including the anti-money laundering standards of the Wolfsberg banking group, the Business Principles for Countering Bribery, and specific industry-focused initiatives. He was a Founding Member of the World Economic Forum’s Partnering Against Corruption Initiative (PACI) and chaired the 10th Principle Working Group of the United Nations Global Compact. Brooks joined TI after a career with PricewaterhouseCoopers where he was elected worldwide Chairman of the firm in 1997.